A number of new products, apps, updates, and initiatives were announced at the March 21 Apple Event in Cupertino, California. The event began with "40 years in 40 seconds," a short video that chronicled Apple's progress since April 1, 1976. The company has come a long way since the Apple I, its first computer released in the late 1970s. However, this year's highly-anticipated Apple Event demonstrated just how much progress the company has made in other areas. Apple's new health app CareKit will help people better manage their health, and it could change what it's like to live with unpredictable diseases like Parkinson's disease and epilepsy. CareKit is a new software platform that will use different apps to help patients transform the way they manage their health. Rather than relying on trips to the hospital or those annoying sheets of paper you receive after doctors visits, CareKit gives people the opportunity to track their medical conditions and progress right from their Apple device. Users can decide to share information with their physicians via the CareKit app, and physicians can have real-time access to their patients' medical progress, which allows them to make suggestions for different treatments directly through the app. 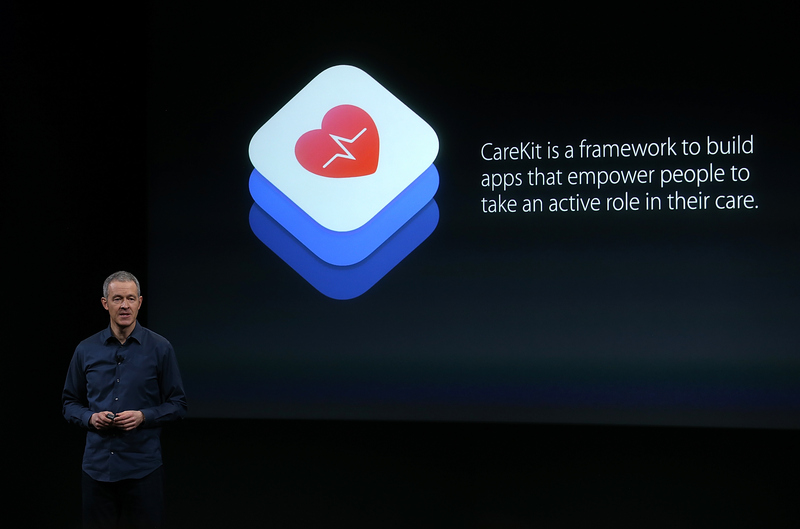 Apple's Chief Operating Officer Jeff Williams introduced CareKit during the event. "Empowering people with data about their health is incredibly important," Williams said of CareKit's capabilities to improve patients' lives. CareKit will bring together research and care with its new health-tracking apps, which will help people live better and healthier, he said. Specifically, Williams introduced a new app that will work to detect early signs of autism in children. The app will play videos via an Apple device and use algorithms to read a child's facial expression as they watch the videos, thus allowing parents to better identify early signs of autism from their own home. Similarly, CareKit could make significant advances in research on those living with epilepsy. Epileptic seizures are unpredictable, and the possibility of a seizure becomes more dangerous when a patient is driving and cannot predict if they will have one while behind the wheel. In an effort to help these people, CareKit will include EpiWatch, the first app for Apple Watch that will find a predictor for a seizure and alert the patient. Apple's new user-focused health app marks a significant shift in the company's potential to become a leading health provider for people living with debilitating diseases. CareKit is an extension of ResearchKit, Apple's previous app that allowed medical researchers to more easily and effectively enroll participants in various health studies. As many as 10 million people worldwide are living with Parkinson's, according to the Parkinson's Disease Foundation. An estimated 65 million people have epilepsy around the world, according to data from Citizens United for Research in Epilepsy. CareKit has the potential to be revolutionary for the millions of people worldwide who suffer from unpredictable diseases that are otherwise difficult to manage and treat. Part of the problem to solving these unpredictable diseases is actually understanding; ResearchKit helped medical professionals gather data about patients living with these different conditions through worldwide studies that were facilitated by the app. For example, in partnership with the University of Rochester, Apple created mPower, an app that enrolled more than 10,000 participants living with Parkinson's disease. This became the largest Parkinson's disease study conducted in history. During the event, Williams described CareKit as, "A framework to build apps that empower people to take an active role in their care." So far, six medical institutions have partnered with Apple and CareKit to better assist their patients in improving their lives.